Gorgeous Property and perfect for first time buyers! A Must See! READY TO MOVE IN! LIKE NEW !!! Entire Roof was replaced 6 years ago. Accordion shutters on all around windows and sliding doors installed about 6 years. Beautiful pool is adorned with diamond brite tile. 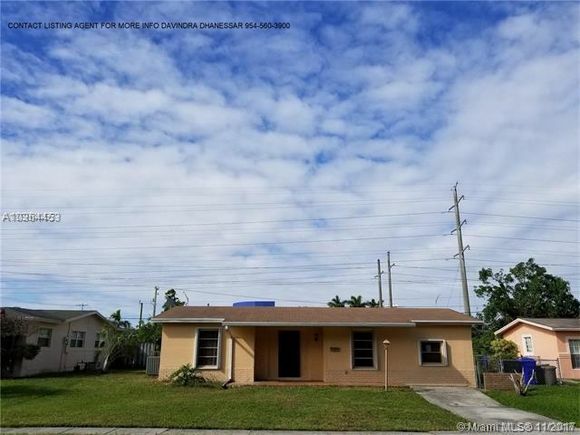 The Home has a fenced yard, centrally located near shopping centers very close to schools and across the street from the Broward county library. OWNER OCCUPIED 24 HR NOTICE REQUIRED. Multiple offers please send highest and best offers. North on Rock Island Road to Kimberly Blvd. Go East on Kimberly Blvd and North on 70th Way. The house is the second house on the Left.